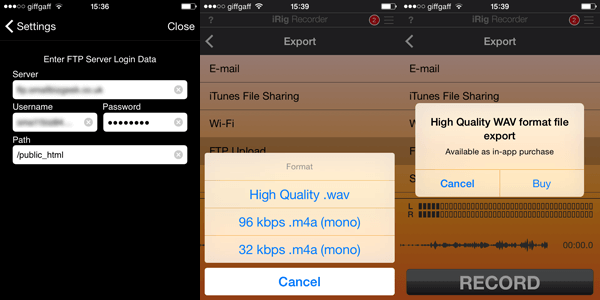 Are you an iPad, iPod or iPhone user wanting to extend the audio recording capabilities of your Apple device? 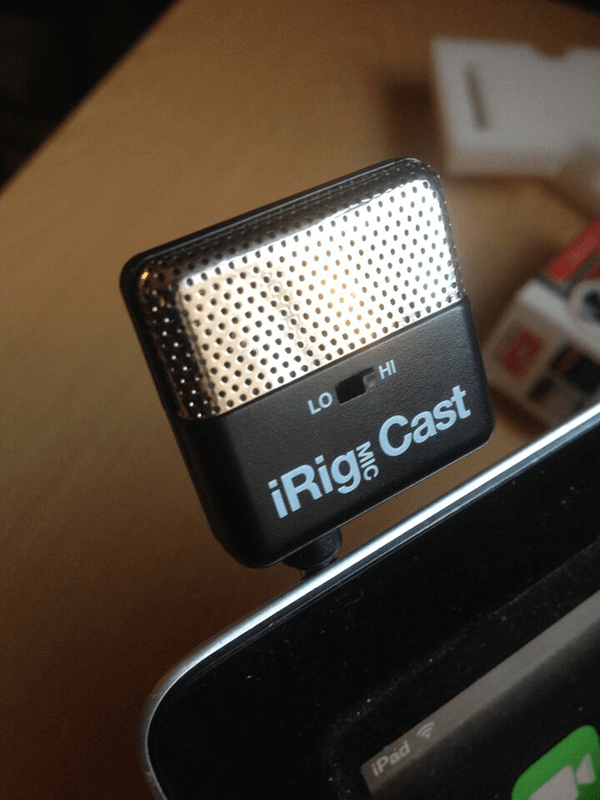 You could try the iRig Mic Cast from IK Multimedia. It’s an impressive piece of hardware for the relatively low price. I got mine second hand on eBay for around £12. IK Multimedia always impressed me in the past with their line of software products. I’m glad my expectations of quality were met with this purchase, especially since it was a used item. What Recording Situations is it Suited To?? 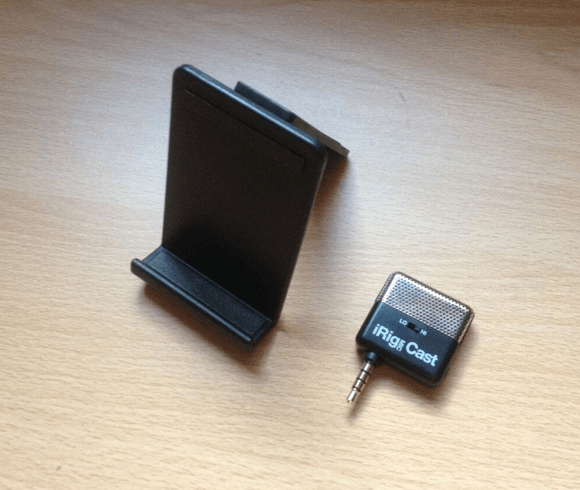 The microphone fits into the 3.5mm jack port on the top of your device. Once plugged in, your iOS device uses the mic as the main audio source for all applications. 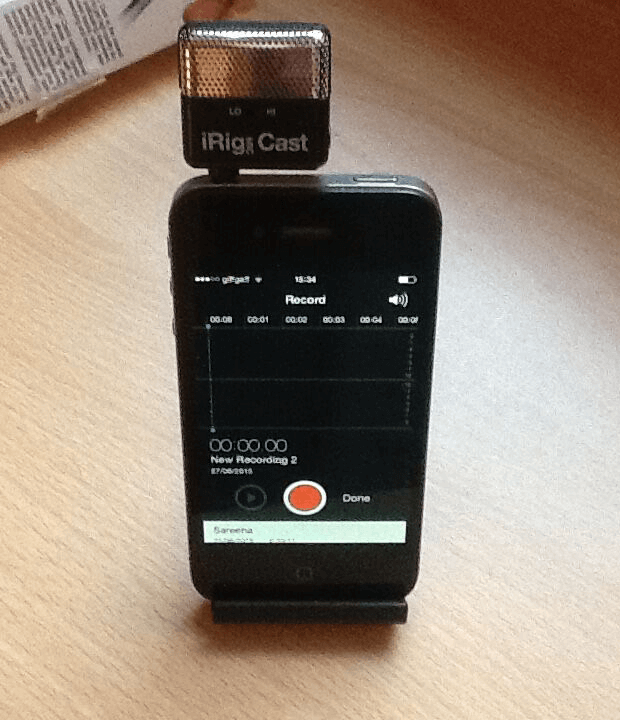 For example, if you decide to record a video, the sound will be delivered through the iRig mic. The plastic stand is indispensable. It means your phone can stand up vertically if you want to set the mic down on a surface. It’s possible to balance the iPad on this stand too, but most of use have an iPad case that can act as a stand. The cardioid directional polar pattern means, ideally, the sound needs to hit the front of the mic or at least come in from the sides. Sensitivity behind the mic is more or less dead/flat/silent but it can be rotated easily. It’s possible to increase/decrease audio sensitivity. A small switch is included on the front of the mic denoted as “Lo” and “Hi”. The Lo setting is ideal if you’re talking within 30cm of the microphone. The Hi setting is better if you’re furthur away from the mic or if you’re recording a conversation. It even has a stereo headphone output for monitoring sound. That means I can insert my stereo ear buds and get a live representation of the sound. It’s useful knowing I can test/monitor sound using my hands free ear buds because it means I don’t need to carry large headphones around with me. In the iTunes store is the official iRig Recorder app. It’s okay but you’ll need to register the serial number that comes with the product to unlock certain features. I have not used this app myself but I want to give a quick overview of the app in case you decide this is the best way for you. 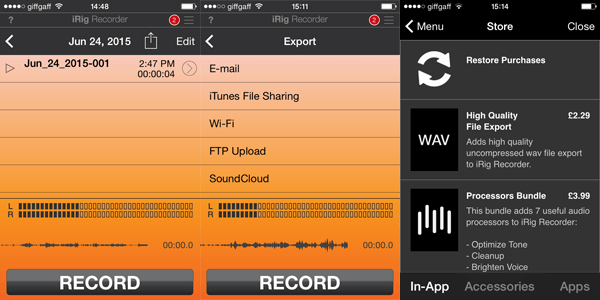 While the iRig Recorder app is free to download, an additional app purchase is needed for the other features like editing, processing and exporting. It’s a fremium model. In the screenshot below I tried to Export the sound but was prompted to purchase something called High Quality File Export. 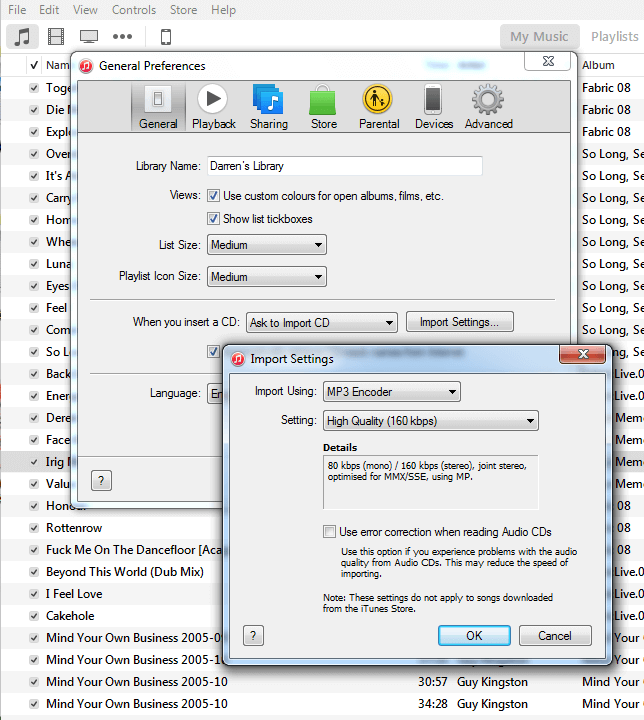 The Export options include Email, iTunes, Wi-Fi, FTP and Soundcloud. You’ll need to pay the £2.99 one time to unlock these. Once I have bought the app I will probably use the FTP Upload option, which requires that you configure the FTP settings. I managed to configure these FTP settings in the iRig app and used the default root directory folder called /public_html. Right now I’m using my GoDaddy hosting account but I still need to purchase the full iRig Recorder in order to export the sound. I probably will buy the app if it is going to unlock the export options as well as the high quality stereo .WAV format. I’m just surprised there’s no DropBox integration because that would probably be the easiest way to transfer files. If you haven’t got the iRig iRecorder or just don’t want to purchase it, there’s always the native iOS Voice Memo app on the iPhone. If you’re using the iPad you’ll need to find some other app to record audio, because, unfortunately, the iPad has no native sound/voice app! I have used the iPhone’s Voice Memo app because I can sync my phone to my PC via iTunes and grab the recordings that way. Alternatively it is possible to push the recordings to DropBox if you use the iOS DropBox app (which I do), but there’ll be no format conversion. You’re stuck with the m4a file. Another drawback is that the m4a file is mono. If you’ve recorded a conversation you might not get he benefit of the left and right channels. Thankfully I use Sony Vegas Pro to import m4a sounds which are then edited on the timeline and saved as mp3. I run an unofficial website about the politics, funding and development of the much anticipated railway station in Ilkeston. The site is called Ilkeston Railway Station and I produce content for it together with local residents. I met a lady who owns a local cafe and approached her about making a contribution to the website. I decided to to use the iRig Mic Cast as a way to record some notes that I’d later transcribe. 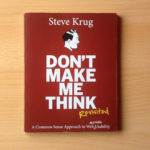 The recording came out so well that it seemed it would make a great piece of content in its own right. With a little editing, a volume boost and the use of a free Soundcloud account to host the podcast we had something half decent. We sat opposite one another, approximately 5 feet apart (or about 150 cm) with the iPhone and mic on the table between us on a side angle. This meant we were talking into the side of the microphone rather than head on. Remember, the back of the mic is a dead zone for audio. With the setting switched to the “Hi” position it was sensitive enough to pick up our voices easily. The cafe was fairly quiet and the accoustics were favourable because they were pretty reflective. The sound of the ticking clock in the background was audible but not a problem. The conversation mainly featured Sareena and I simply encouraged her to tell her story by prompting her to elaborate on certain points. She has been distressed over the last year and this is evident because her voice is louder and more resonant than my own in the recording, meaning there was obvious clipping in post production. What I could have done was added a compressor but I decided to just drop the master volume a little and export the sound to mp3 before uploading. The sound clip is also embedded here in its original context on the Ilkeston Railway Station website if you’re interested. Just to be clear, the sound you hear in the clip below is coming from the built in mic of the iPad I used to shoot the video. 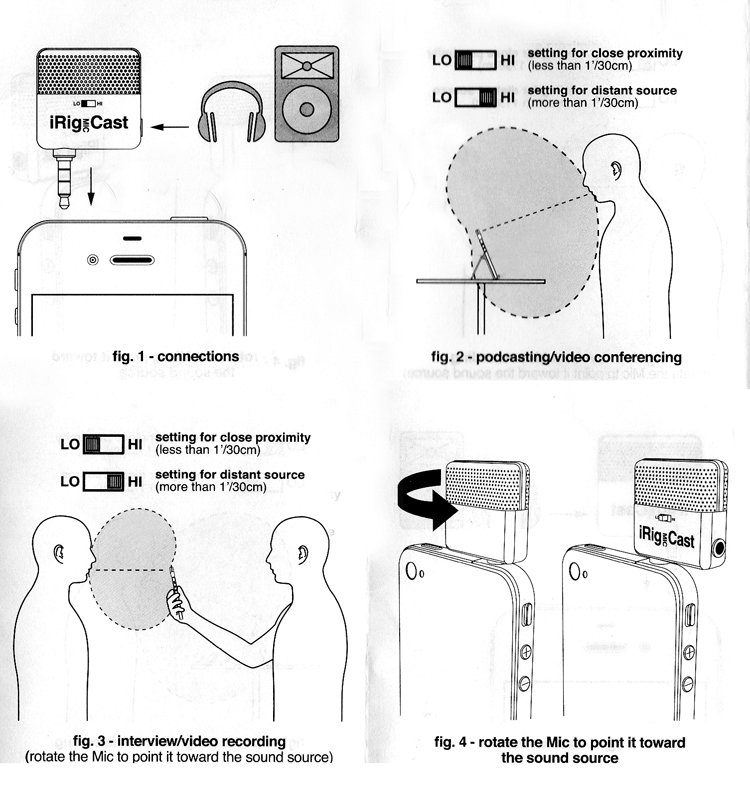 The video is not an example of the iRig Mic Cast audio. If you’ve read this far, you’re probably interested in purchasing this mic or at least one like it. My advice is to definitely start off with this mic and graduate to other mics if you need them. I’ve been using a headset mic to record short podcasts with work associates over Skype but if I met that same person in a room I doubt we’d be using the same mics. The iRig is fantastic for field recording. If you’re out and about, please always transport the mic in the foam packaging and inside the cardboard box. It is mainly made of plastic and a few good knocks could break it. Once you’ve purchased the product, be sure to register it using the supplied serial number because this acts as your warranty. This mic is available on Amazon but you might also want to check eBay because that’s where I got mine from.